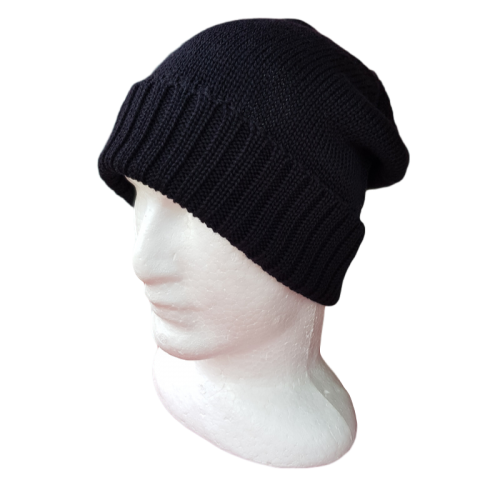 Gorgeous 100% Pure Tasmanian Merino Wool Beanies can be worn two ways 'the Slouch' or by folding the ribbed band up and becomes a more traditional beanie. This one is a versatile plain black. Well sized for Aussie heads.